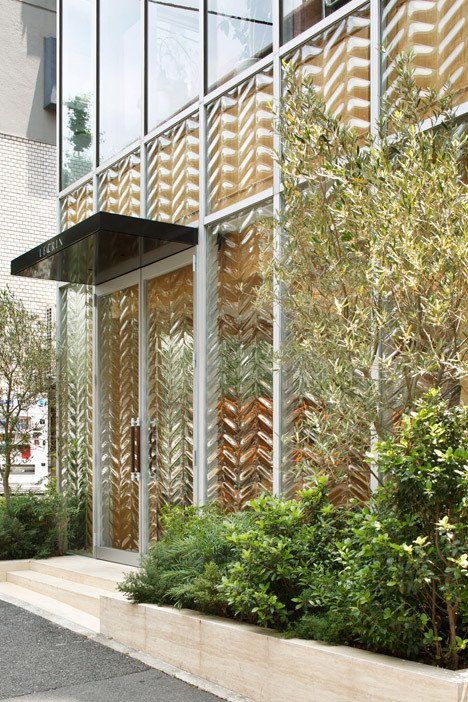 The glass facade of this Tokyo equipment shop is imprinted with a chevron pattern based on a motif from the lining of an Hermès handbag . 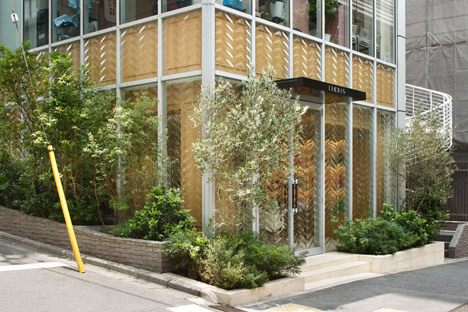 Japanese studio Hiroshi Nakamura &amp NAP was commissioned to renovate the area for a Tokyo boutique that specialises in accessories by the French style brand. 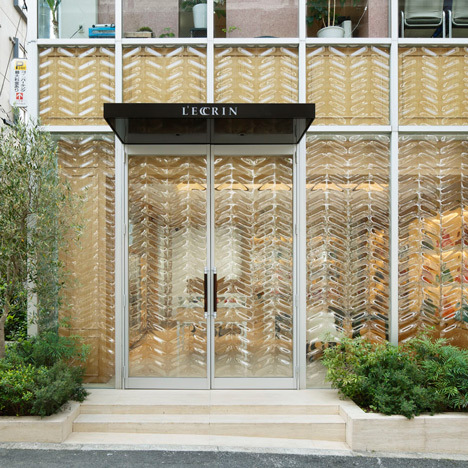 Taking the zigzag-patterned linings of the Hermès handbags as inspiration, Nakamura’s studio devised a chevron imprint for the glass, which partially obscures the contents from the street while offering ample daylight for customers to peruse the collections. 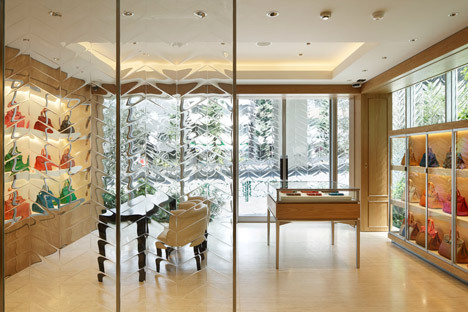 “The consumer sought after excellent interior visibility enticing to passers-by, yet preserving a reasonable degree of privacy for customers,” said the studio. 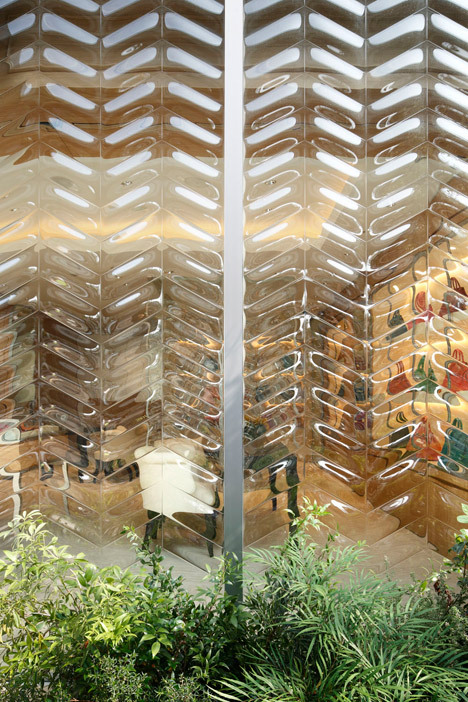 Owing to the price of utilizing lower glass, the architects came up with an substitute strategy to produce the pattern. 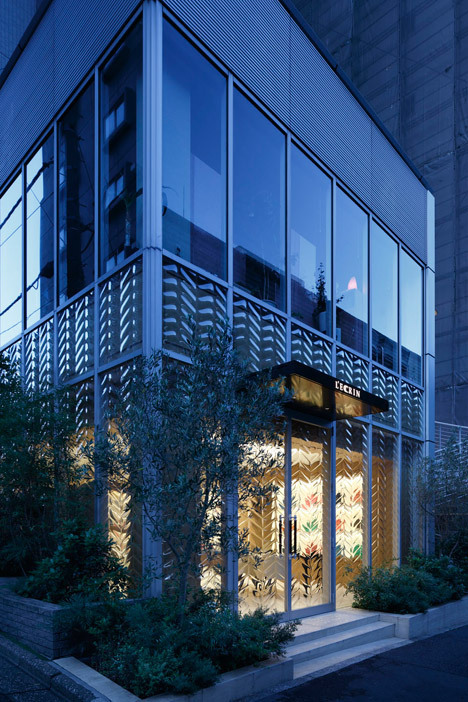 Plates of 12-millimetre-thick glass had been laid above a stainless steel frame with sharpened edges and heated in a kiln so that the glass would soften into the type. This method produces a somewhat textured pattern with a rounded profile. 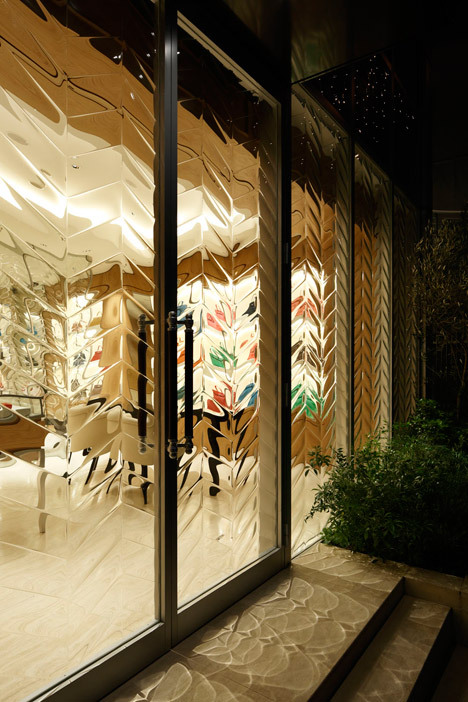 “The glass, by its very own excess weight, sagged 10 to 13 millimetres into the frame’s open spaces to create the individual chevrons,” explained the group. 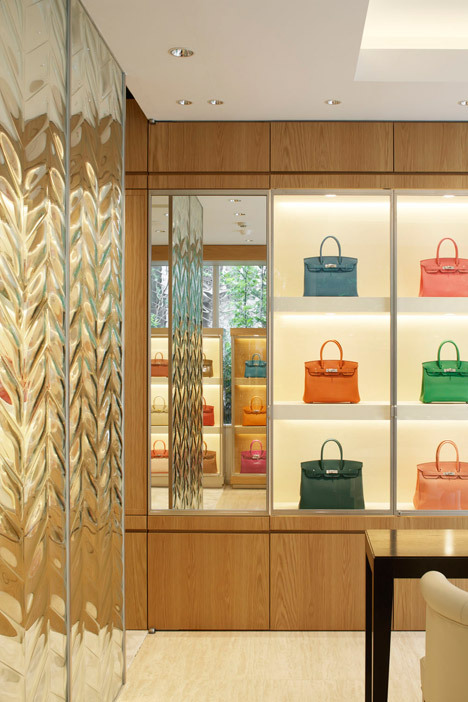 Sheets of this glass are also utilized as screens across the interior of the shop, exactly where brightly coloured handbags such as the infamous Hermès Birkin bag are displayed on shelves recessed into timber and limestone walls. 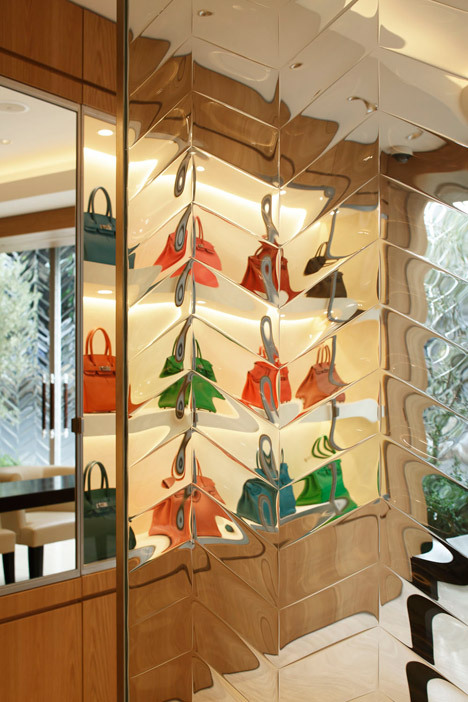 Smaller sized accessories are presented in transparent glass vitrines with timber frames that match the walls.